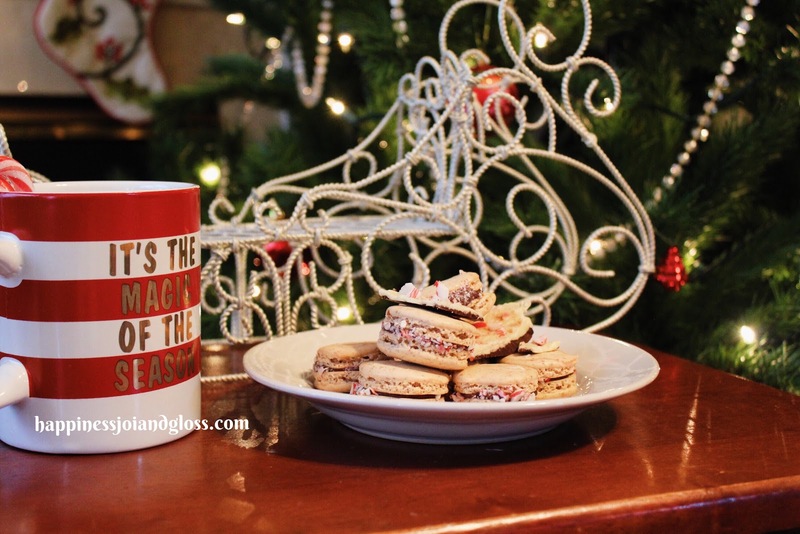 There is nothing more classic than Peppermint and Chocolate during the holiday season! 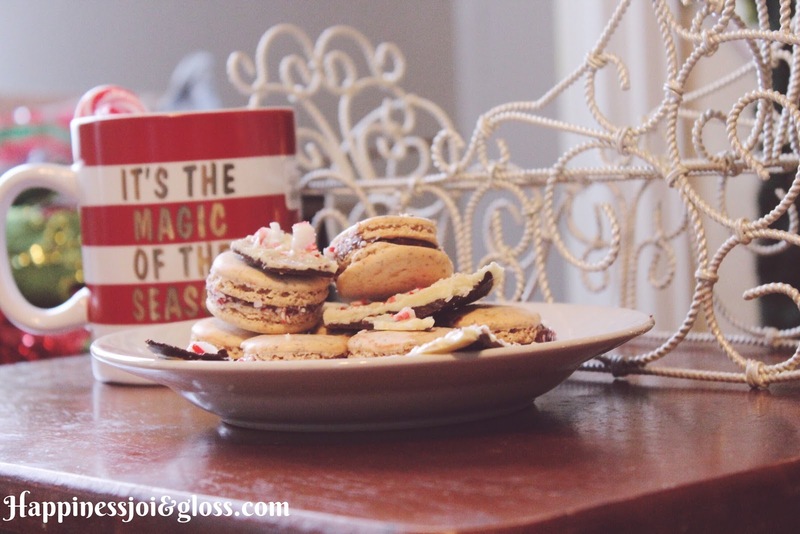 If you love Starbuck's Peppermint Mocha or eating Peppermint Bark treats, you'll love this macaron recipe! ...these first two steps took me the longest, but they are all the ingredients you need to make the cookies of a macaron! 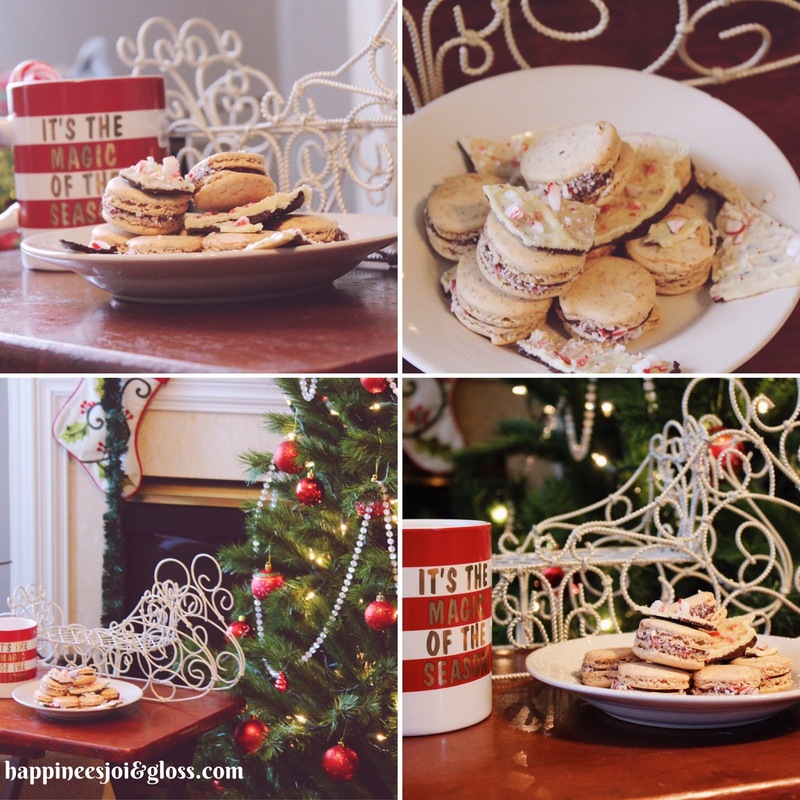 Place in Piping Bag and Pipe onto Macaron Cookies, then sandwich two cookies! I took an extra step and rolled my Macaron Cookies that had a little chocolate oozing on the sides in the extra peppermint chips! 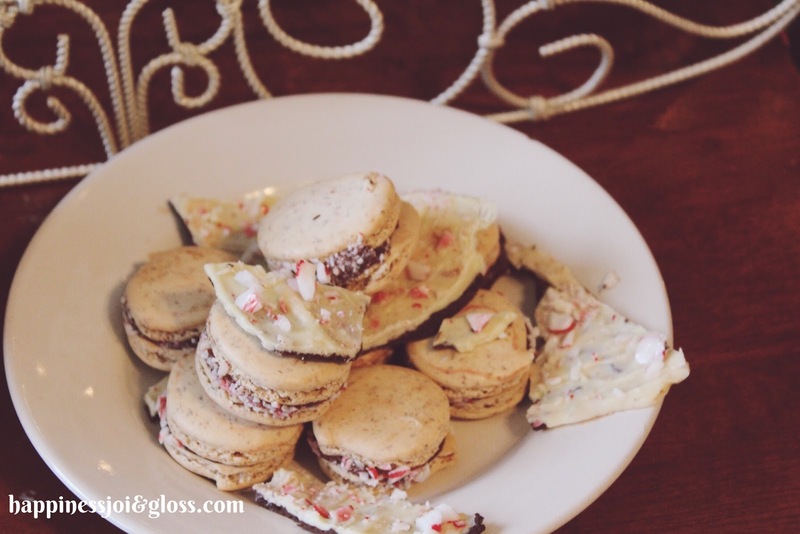 I also made some homemade Peppermint Bark to pair with my cookies! Why is Chocolate and Mint sooo good? !